last Sunday in Brooklyn Victorians aborted their winter garb to bid farewell to one of their very own, Mr. Carlton Kingston 83 who died after a prolonged illness. In Guyana he spent his productive years working in the bauxite industry in Linden. It was at this ceremony, it was announced that his cousin, Ovid Count Rawna Hoppie-Beaton had also died. WRITING about West Indian cricket last year, The Economist tried to explain “why a dazzling team has faded”. On April 3rd in Kolkata, the West Indian men’s and women’s teams both dazzled by winning the Twenty20 (T20) championships. We feel nearly as sheepish as the bookmakers who put the odds of that happening at 150 to one. 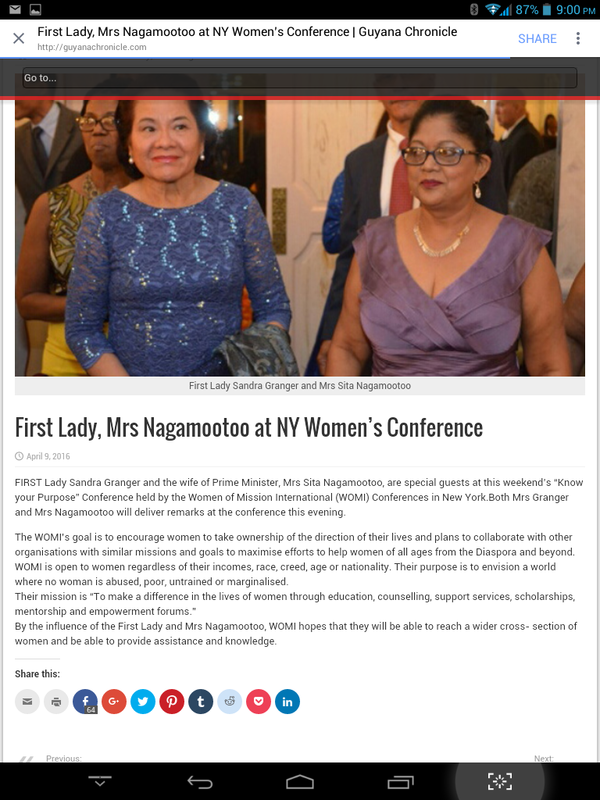 The atmosphere was electric and the presentations terrific as the spouses in the Guyanese Diaspora paid strict attention to the The International Women’s Movement and their can do attitude in New York over the weekend. Both Ms Sandra Granger, wife of President David Granger and Ms Sita Nagamootoo, wife of Prime Minister Moses Nagamootoo were on hand for the annual event held this year at the Glen Terrace in Brooklyn.